Par 4, gradually uphill. 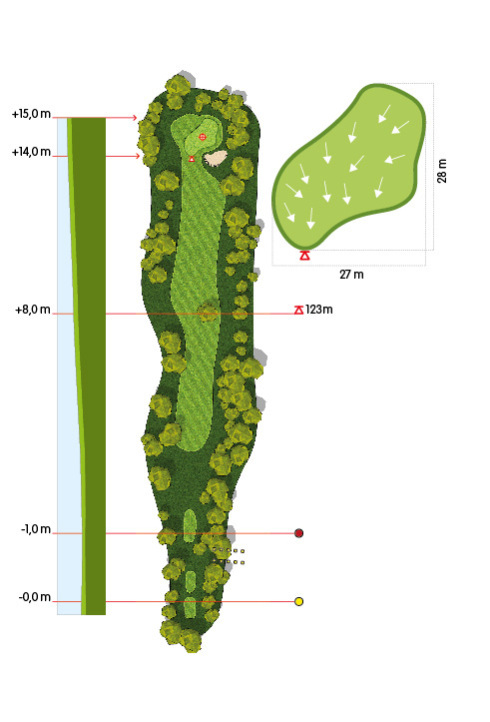 Two trees at the halfway point make the approach to the green difficult. Not very wide, it is protected by two bunkers, one in front to the right and another behind to the left. A delicate approach to the green is required.